What a great way to announce your new arrival! 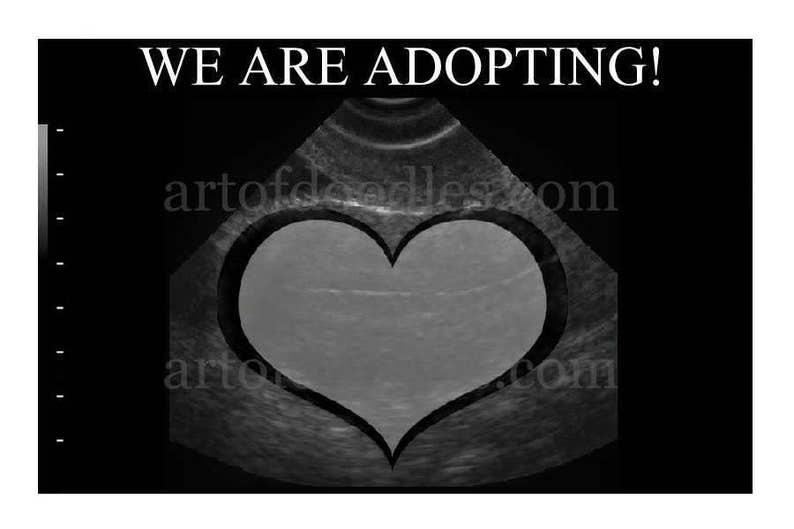 We are adopting! announcement is sized to be printed as a 4"x6" print at any photo center, print shop or home printer. You will get a sample image after purchase. You may chose any country or state. If you want different wording or a certain font on the announcement please let me know and I will try to match it the best I can. Not all fonts are available. If you want me to print them for you please contact me for a price quote. I will email you your final image after I put all the details on it. They may take up to 24 hours to complete. Please put the state or country in the note to seller when you purchase.